Advantages: Interesting text, comprehensive plans feature, excellent profiles, unprecedented photo coverage. The FBA Type H flying boat is the latest aircraft to get the Datafile treatment from Albatros Productions. These machines flew for a number of different air services during World War I including those of France, Italy and Belgium. Even the British Admiralty managed to acquire some for RNAS use in the Adriatic. The duties of these aircraft were to combat enemy raids, oppose the blocking of harbours, and to conduct anti submarine warfare. It didn’t get off to a good start when they inevitably came across the aggressive German Naval flyers. The French for example, were given orders that when encountering enemy aircraft, they were to land and fight from the surface of the water! Naturally disaster followed and those tactics were soon changed. Things weren’t all bad for the FBA crews and successful operations did follow. Some were even awarded medals for the sinking of German submarines. Eventually the war ended but the FBA continued to be used well into the 1920s…this time by other nations as a training aircraft. Inside the soft card covers there are a total of 36 pages. Over one hundred photographs are presented, which includes colour shots of the only surviving example of this aircraft. The text describes the history of these machines and the services they performed. The narrative is very interesting and easy to understand, with the various photo captions providing more insightful reading. Scale plans are a hallmark of the Datafile series and this issue is no exception. These are drawn by Martin Digmayer and are produced in both 1:72 and 1:48 scales. In the 10 pages allocated, extra details are illustrated where necessary and this includes cross-sections and structural elements. A handy specification table is provided which differentiates between the French and Italian built aircraft. Colours and markings are not forgotten and there is a section specifically devoted to this area. To assist in this task, Ronny Bar has supplied three excellent profiles. 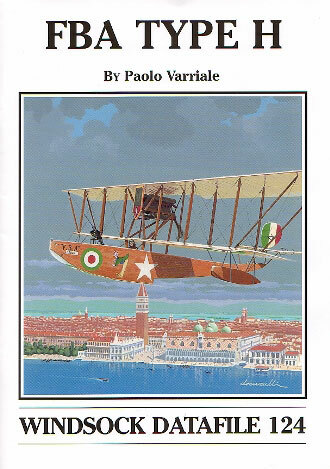 A fourth option can be seen on the cover with an original painting done by Danilo Renzulli. The A4 format lends itself perfectly to the Datafile formula as it allows maximum detail to be extracted from the printed images. With the large number of photographs and informative text, this is a great single reference source for an important aircraft.